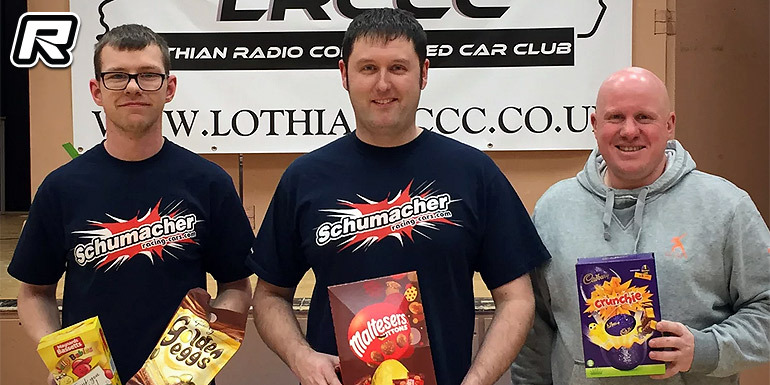 The fourth and final round of the 2019 BRCA Scottish GT Regional’s took place last weekend at Lothian Radio Control Car Club. The club has invested heavily this year with a new carpet and track markers giving the racers the best possible race experience. A fast flowing track was laid out and with a grip line established early on a great days racing was had by all. Qualifying would see this year’s Champion John Simpson take control and he was the only person to record 35 laps. The next three cars just missed the 35 laps and were split by three tenths of a second. James Eaves claiming the 2nd place spot from Kenneth Rogers in 3rd and Andrew Edwards 4th. The battle for the final places in the A-final had been close all day with David Bruce lining up 5th and Fraser Leslie claiming the last spot with a great final qualifying run. Finals were run over three legs with two legs counting. In leg one the first four cars formed a train and were racing hard covered by two seconds for the whole race with the gaps ebbing and flowing as each driver tried to attack and then had to defend. John led the train home with James 2nd and a slight touch of a corner on the penultimate lap by Kenneth allowed Andrew through into 3rd. In leg two James had found some extra pace and made a pass on John and kept the lead to take the second leg from John. Kenneth would keep 3rd place this time with Andrew 4th. It was all to play for in the final leg and James and John raced away at the front. Contact between Kenneth and Andrew would drop them back down the field. It would all come down to the final lap with James and John swapping places three times before James claimed the win by the smallest margin at the line. That would give James the overall win with John in 2nd and Andrew 3rd. The battle for 5th and 6th was equally hard fought with David and Fraser racing hard taking a leg each before a win in the final leg would decide the positions in Fraser’s favour. With the conclusion of the series it was time to present the trophies to the series champions. John Simpson would claim the overall title winning the championship for the second time. 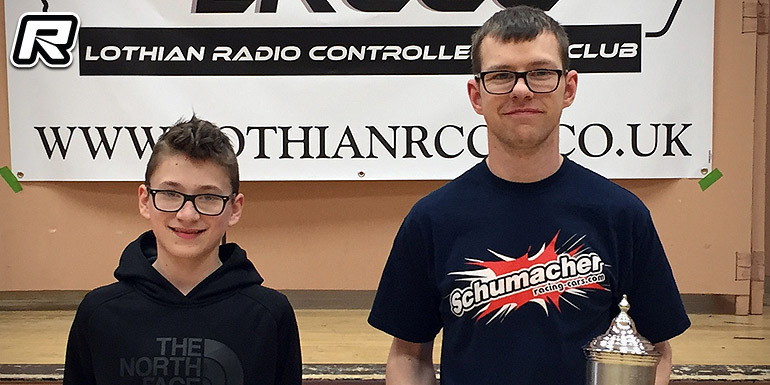 Congratulations John, 2019 Scottish GT12 Regional Champion. James Eaves would finish 2nd in the championship and Kenneth Rogers 3rd. The junior championship was won for the third successive year by Reece Duthie.